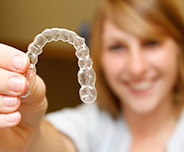 Our doctors can straighten your teeth using Invisalign clear plastic aligners. 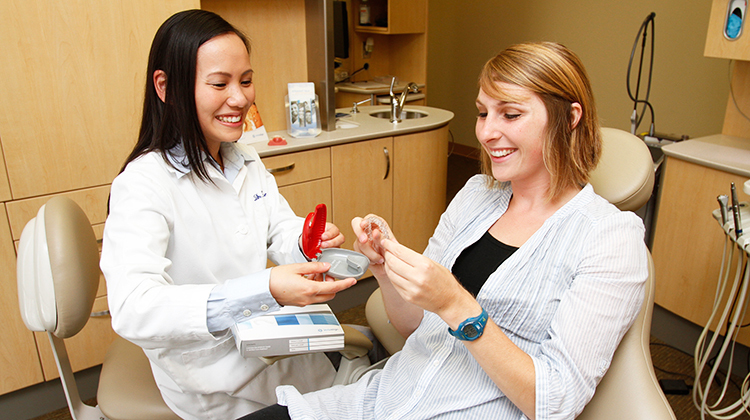 Invisalign is a modern orthodontic treatment that uses a series of clear, plastic aligners to straighten your smile. There are no unsightly and uncomfortable “brackets” like the ones used in traditional braces. 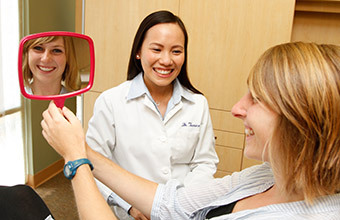 Dr. Justene Doan and Dr. Tran are are both very experienced in Invisalign and are also highly educated and experienced in traditional orthodontics. Their training has given them a full understanding of the forces at work in teeth straightening, so they can ensure that your Invisalign treatment is well-planned and executed. They will customize your treatment plan if necessary so your Invisalign experience is as comfortable and effective as possible. 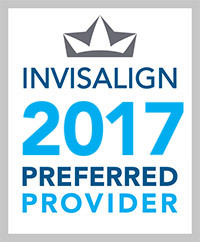 Our doctors are Invisalign Preferred Providers, which means they complete a significant number of Invisalign cases every year. When you sign up for Invisalign treatment with us, you will receive a $500 discount on the total cost of your treatment. We will also provide you with complimentary professional teeth whitening when your treatment is completed. To make an appointment, call 619‑831‑8832 (San Diego), 858‑842‑5850 (Poway) or Click Here to request an appointment online. Invisalign aligners are removable, so you can take them out for eating and to brush and floss easily. This means you can eat whatever you want, and it’s easier to maintain good oral health. In your initial consultation, the doctor will explain how Invisalign works and answer any questions you may have about the procedure. The doctor will take an impression of your teeth, as well as X-rays and photographs. The doctor sends this information to Align Technology, whose technicians use a proprietary software program to create a customized plan for moving your teeth into their desired position. Before manufacturing the aligners, Align Technology will send the proposed plan to our office for the doctor to review and approve. Your custom treatment plan may require anywhere from 6 to 48 aligners. The aligners are made out of a smooth, BPA-free plastic. Unlike traditional braces, which use metal brackets and wires for straightening, Invisalign aligners are comfortable and won’t cause irritation of the gums. Your aligners will gradually and gently move your teeth into a new position, each one moving them a little closer to the desired end result. Each custom aligner is worn for two weeks. You will come back to our office approximately once every six weeks so the doctor can ensure the treatment is progressing as it should be. Invisalign treatment can fix a wide variety of problems with teeth and bite alignment, from mild cases of crooked teeth to more difficult problems involving serious bite issues. When there isn’t enough space for your teeth to fit normally in the jaws. When one or more of your upper teeth protrude over your lower teeth. When one or more lower teeth protrude in front of your upper teeth. Gaps can cause teeth to shift into the empty spaces and become loose. When both the upper and lower teeth are forced outwards so that they don’t touch each other, even when the mouth is closed. When one or more of the upper teeth bite on the inside of the lower teeth. “My teeth had been somewhat neglected and required several fillings, deep cleaning treatment and orthodontic treatment after my teeth had moved after a previous retainer had broken. 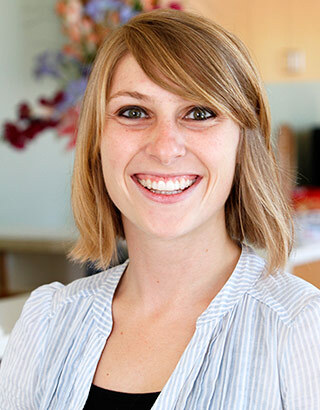 “I have really enjoyed my experience with A+ Family Dentistry. The staff is always incredibly helpful, kind and professional. They provide me with reminders for appointments and always try to work with my schedule. The doctors always thoroughly answer all my questions and fully explain to me the details of the procedures that I will be receiving. Read more patient testimonials here. We would like to do something special for the person you are recommending to our practice. So, we are also going to enclose a gift coupon to your email recipient. A smile makeover has the power to rejuvenate your face and dramatically boost your confidence. Same day emergency appointments available! Sign Up Today To Receive This Amazing Offer! Include my guide on How to Choose the Right Dentist!